No fast fashion at this sustainable, quirky new shop. There’s an area in Bushwick that exists as a quasi-Bermuda Triangle—a loosely defined region between Hart Street and Myrtle Avenue. Unlike the real Bermuda Triangle, however, things are not lost here, but found instead. 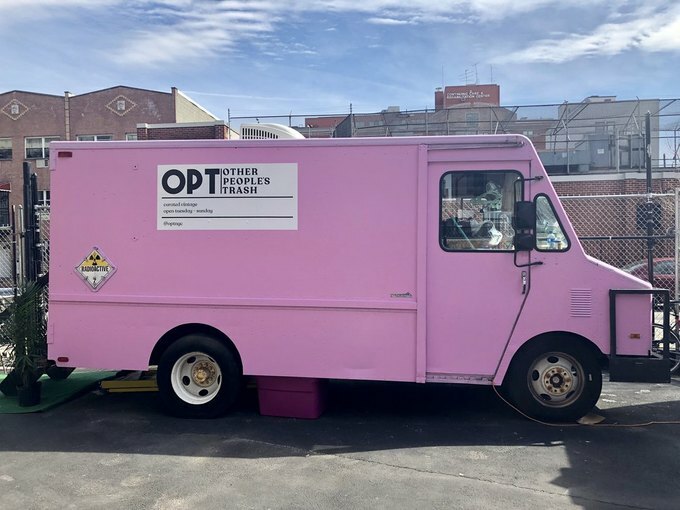 Enter Other People’s Trash (OPT): a new vintage shop housed in a repurposed StepVan, permanently parked in this converted lot. 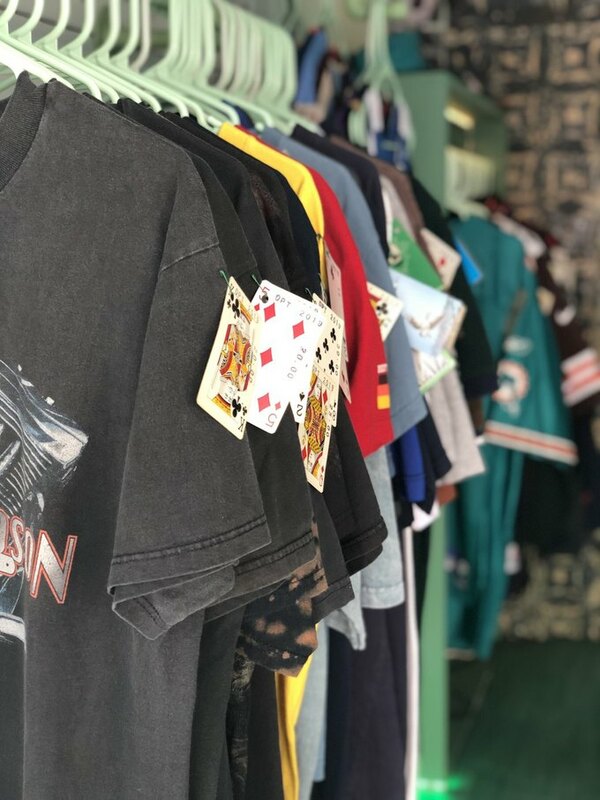 This carefully curated selection of vintage goods is created and operated by Lisa Carr, an art director, and Jonny Alvarez, a clothing designer. Together, they dreamt up the monochrome oasis—bright lavender on the outside, seafoam green within—packed with throwback jerseys, rare hoodies, vintage jeans, and an astroturf floor. The truck is a mere 15 feet long, so options are somewhat limited, but a spirit of abundance remains. Plus, the duo is constantly sourcing new items, so the shop feels perpetually fresh and well-stocked. “We want everything to be unisex,” Carr expanded on their aesthetic. And gender-neutral clothing isn’t the only stipulation. 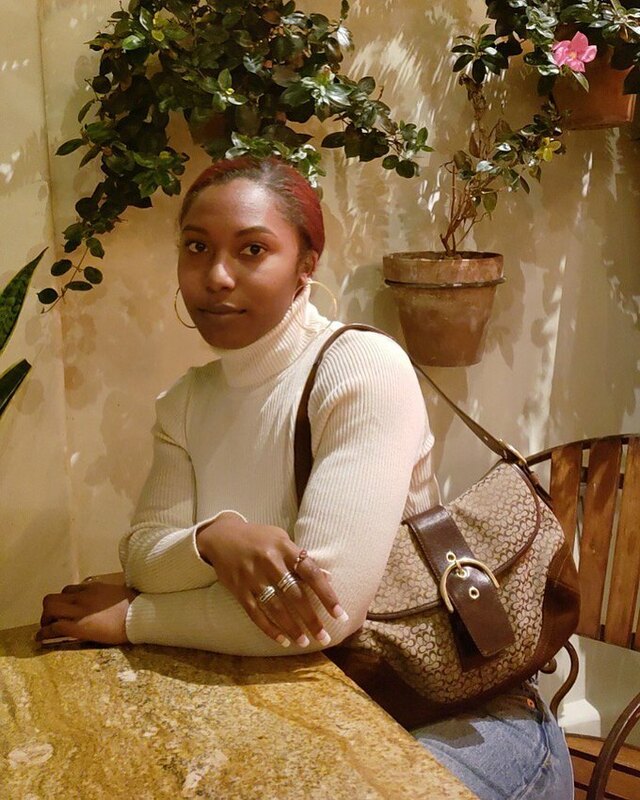 The duo is also admittedly picky about the brands they feature in their shop, and steer clear from reselling fast fashion—cheap, mass-produced clothing from major companies. Part of the allure of Other People’s Trash is that the van is only slightly larger than a New York City closet, so the concise collection of clothing feels reminiscent of one’s personal stash. The limited space in apartment bedrooms, a (minor) sacrifice in exchange for NYC living, forces us to recycle, donate clothes, and generally live in a more minimalist way. “A lot of people are just naturally sustainable and they don’t even know it,” said Carr. Every element of OPT feels like its been incorporated with reuse in mind, particularly the vintage playing card clothing tags. “We went through a few different ideas, from baseball cards to vintage Spice Girl cards,” said Alvarez. The co-founder said some customers even collect the unique card-tags and keep them long after they’ve worn the merchandise they were attached to. Alvarez is also conscious of the shop’s prices, and prioritizes keeping them accessible to shoppers in the Bushwick community especially since OPT doesn’t have a huge overhead. 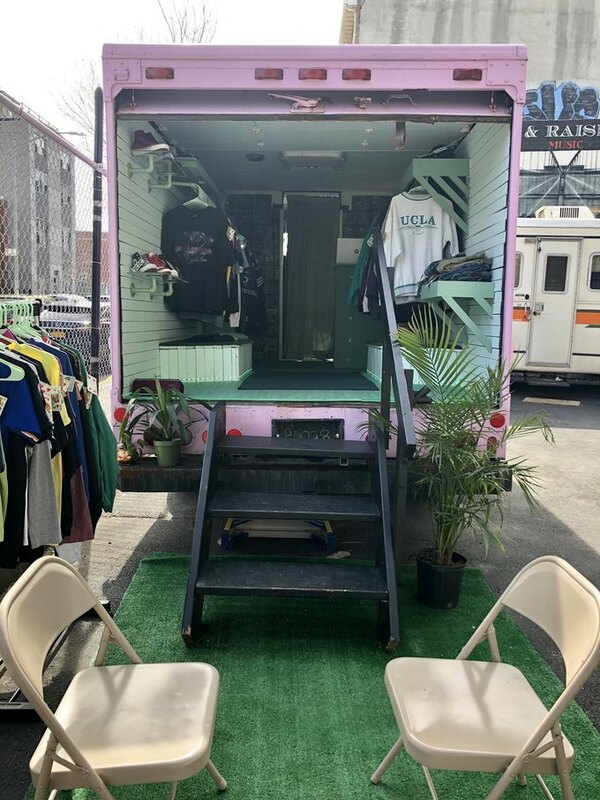 Though the shop is technically mobile, it stays parked in Bushwick’s “Myrtle Beach” and shares the lot with KPISS.fm, a popular radio station tucked inside a popular radio station tucked inside a StepVan from the 1970s. “[We feel we’re] a great compliment to what was already existing here,” said Carr. The triangular lot is steadily building a culture of artists and voices in Bushwick, which lends itself to collaboration. Carr and Alvarez are also planning on releasing a hybrid magazine-lookbook, complete with articles and editorials featuring inspirational friends and artists the duo will style in OPT threads. Now that the weather is warming up and summer is on the horizon, Carr and Alvarez will be swapping out thick knits and pants for breezier shirts and shorts. 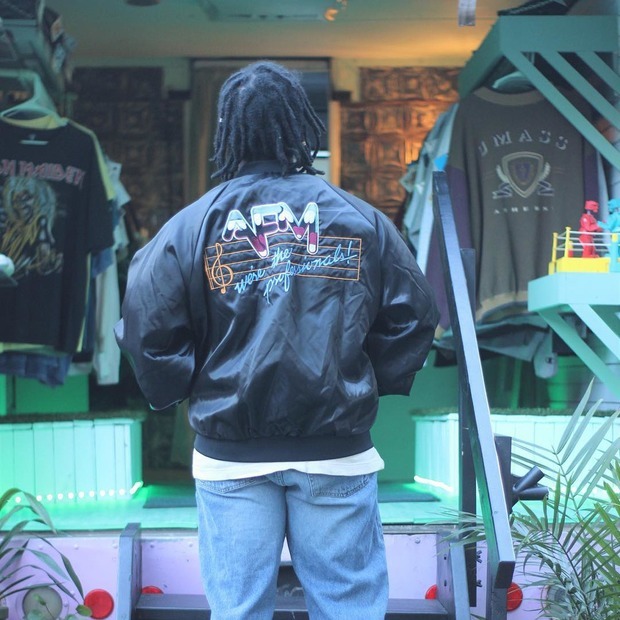 They’ll also be participating in and hosting pop-ups and art shows in and around the van. Other People’s Trash is open Tuesday through Sunday, from 12 p.m. until 6 p.m. on weekdays and until 8 p.m. on weekends. They also plan to sell their clothing on Depop and Instagram. Images courtesy of Other People's Trash.